You’re back! Welcome! We’re so glad to have you here for another episode of The Amazing Seller podcast. 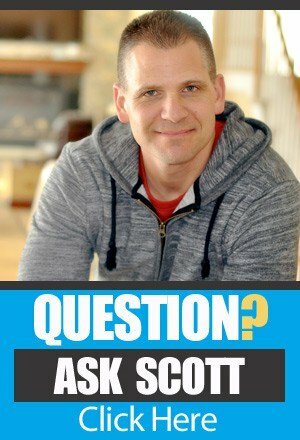 This is a Friday episode – an “Ask Scott” episode that answers your Amazon sales questions each week. If you want to get your questions answered, you can submit them for consideration by going to www.TheAmazingSeller.com/ask – and your question will be in the cue. So sit back, grab your pen and paper, and make sure you take good notes because you want to be sure you’re able to take action on what you learn! Should I start Amazon sales with clothing as my first product? Everyone needs clothes. There’s no doubt about that. But does a large demand for a product make it a good fit for you? Not necessarily. Clothing, for example, is a VERY saturated market. There are so many companies offering similar products that putting out a new product yourself will be an uphill battle at best. Besides that, there’s the issue of variations and sizing. It’s likely that clothing will be returned far more often than other items. Listen to Scott’s thoughts about whether you should choose clothing for a product line, on this episode of The Amazing Seller. I want to offer a product that is very similar to a patented product. Should I move ahead? Patents are something you don’t want to play around with. The legal trouble you could get into is more than you are prepared to face – trust us. But it is important to understand exactly what a patent is and what it means if a product is patented. A patent says that “something” about a product is unique and that company has the rights to use that “something,” but not necessarily the entire product. The patent might cover a particular style of grip, for example. So you could offer a similar product, just not one with the same grip. Scott’s got some great insights on this episode so make sure you take the time to hear what he’s got to say on this one. I just learned about the Chinese New Year break. Is this going to keep me from getting my product restocked? You heard right. New Year celebrations in China are a huge deal, so huge in fact that the working force typically takes off work for 2 weeks or more to celebrate. What does that mean for your inventory and product ordering? It means you’ve got to think ahead. You’ve got to plan ahead. You can use previous sales to estimate how many products you’ll need to last you through a time like Chinese new year, and you should. Scott tells his experience and approach to these kinds of inventory issues on this episode, so be sure to listen. All these numbers: Barcodes, UPC, AISN – what are they and when do I need them? 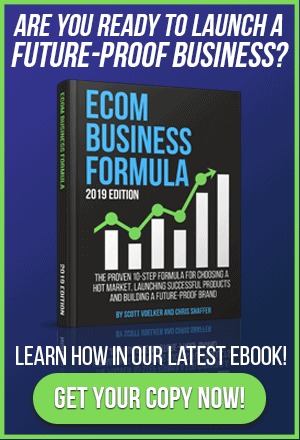 Yes, there are lots of little codes and acronyms that you’ll have to learn if you’re going to do private label sales on Amazon. But once you know what each of them is and when they are used, it’s really not that hard. On this episode a listener asks Scott to explain all the codes and acronyms and in characteristic style, Scott gives a very thorough and helpful answer. 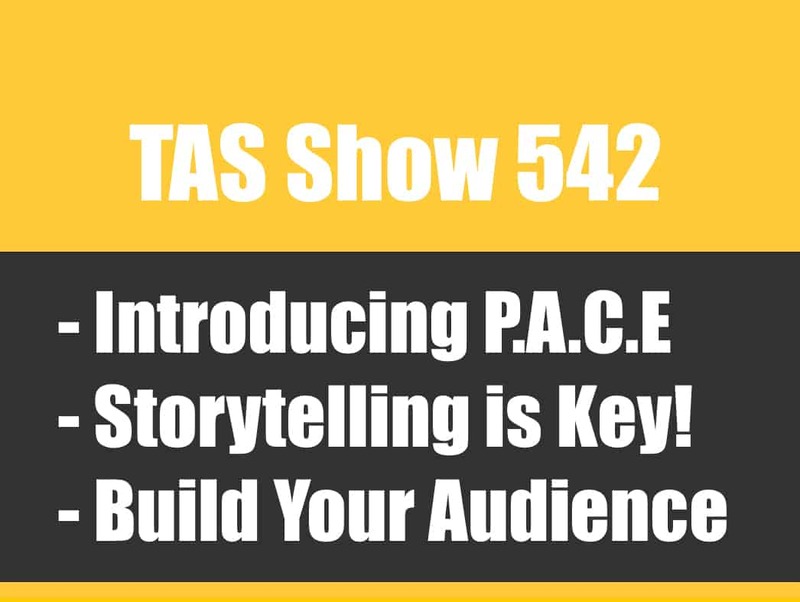 You can learn this “newbie” issue too by listening to this podcast episode. [0:25] Scott’s introduction to the podcast! [0:42] Why Scott got goosebumps from one of his listeners who submitted a question on today’s show. [1:51] How you can get your transcripts of Scott’s episodes. [2:40] Don’t let perfection get in the way of progress. [4:10] QUESTION 1: A question about clothing as a product: dealing with varieties, returns, etc. [11:41] QUESTION 2: A question about patents and the possibilities of violating patents. [19:44] QUESTION 3: How does the Chinese New Year impact your inventory? [26:48] QUESTION 4: What is the difference between a barcode, a FNSKU, and a ASIN? …having a nice cup of coffee or tea or whatever you drink and just talking about this. You’re asking a question and I’m going to give you my feedback or my advice or maybe where to go to get more advice. I really love doing this. I have to say, a quick little story here. I was listening to one of these messages that I’m going to share with you today and I got goose bumps. I literally got goose bumps. It made me feel like, wow. I never imagined that this podcast would have that much of an impact on so many people. When you hear it it makes you feel really, really good inside and it feels awesome. I want to thank everyone that does submit their questions via voicemail so I can hear your voice. I can hear how passionate you are and then again that energy comes back to me and it keeps me really, really excited. I know some of you say, “Scott, how do you stay so motivated and so fired up?” A lot of times it’s because I’m surrounding myself with like-minded people or hearing from you that helps me stay fired up. Sitting here, and you can’t see me right now, my hands are going. I’m clenching my fists. I’m so excited for this opportunity and also to be able to meet and talk to people that are listeners and really have that opportunity to connect. That’s really, really awesome. Before we jump into today’s Ask Scott session let me remind you on two things. I mentioned it at the end of the last podcast, which I forgot to mention it but we’re offering transcripts now. I’m having all episodes transcribed so this way here you can go and listen and download the transcripts. This way here you could follow along or you can just read it if you’re on the plane and you don’t have access to the internet, whatever. You can download it and then go through it. A lot of people wanted this so we actually made that available. You can either read it right on the blog or you can download it. If you want to download this episode with the questions that I answer head over to theamazingseller.com/163. The other thing that I wanted to do here before we jump in is I wanted to share something that I think is really helpful. It really made me say, “I’ve got to let people know about this because I believe in this.” This right here may help you especially if you’re thinking to yourself that you’ve got to have everything perfect. My motto is not to have everything perfect but it is to take action and it is to get moving. That doesn’t mean be careless. That just means that you’ve got to get it close and then go ahead and push it out the door, all right? This one here was submitted by Eric Land. He’s actually one of our private students in the private label classroom. He posted this in our community inside of the class. This is what he posted. “One of my mentors embedded this into my brain many years ago. Don’t let perfection get in the way of progress.” Let’s repeat that. “Don’t let perfection get in the way of progress.” He goes on to say, “I’ve followed that advice and it has never failed me. Take action and fail forward. Hope everyone’s February is off to a great start.” Again, I want you to really think about that because that makes total sense to me. Don’t let perfection get in the way of progress, all right? Definitely, definitely write that down or go ahead and make a note of it and look back on that because I do believe in that wholeheartedly, all right? All right guys, what do you say? Let’s go ahead and listen to the first question and I’ll give you my answer. [00:04:12] S1: Hey, Scott. Greetings from Hangzhou, China. I’m just about 100 miles south of Shanghai. Hangzhou is also the city where the headquarters of both Alibaba and Aliexpress are located. I’ve been living here since mid-September and just on going on my daily walks around my block and city I’ve been to markets. I’ve been seeing some amazing deals on all kinds of products but the one item, the one niche that has really caught my attention especially as a man who likes to dress stylishly and classy has been the apparel and clothing niche especially for a man. My question is this. I’d love to hear your thoughts on starting on Amazon selling apparel and clothing for men. I’ve done some initial research on it and I found that it’s a world community, gated community where it’s not as easy to get in especially as a new person. I’d love to hear your thoughts, your pros and cons of getting into the apparel business. My goal and my vision is not just to sell retail arbitrage products on Amazon but also to eventually private label and start my own clothing line because I’m passionate about that. I love dressing stylishly and that’s something I’d love to do and add my own touch to it and eventually build my own e-commerce site around it and an authority blog and all that. Yeah, man, I would love to hear your thoughts, pros and cons of starting on FBA selling apparel. Keep working. Your podcast is the best out there and the best [inaudible 00:05:51] out there as well. Merry Christmas and all the best wishes for you and your family. Thanks, my friend. Cheers. [00:05:59] SV: Whoa, now that’s pretty awesome all the way from China. Thank you so much for the question. I didn’t get your first name but I did see the, I don’t know if it’s a username or if it’s your name but it was attached to your email and that’s Peyman. Peyman, thank you so much for the question. Yeah, that’s awesome that you’re over there and you’re that close to Alibaba and Aliexpress. That’s pretty cool. You know what, maybe you can even take a picture of that and send it in. That would be cool. I’d love to get a picture of the actual headquarters taken from someone that’s a TAS listener. That would be amazing. Or maybe even hold a sign up that says, “TASer,” or something like that. That’d be cool. All right, anyway let’s get on to the question here. Great question. Yes, I think it is a great market. I have to say here with the men’s designer type look and all of that stuff I think it’s a great market. Honestly, I could use a little help in that department. Especially this year I’m going to be speaking at a couple of events so I’m going to have to get a little bit more stylish, if you will. Yeah, I’m actually looking into that so that’s kind of funny. As far as the clothing goes, as far as being gated I don’t think that’s a huge deal. I don’t think it’s a huge issue to get ungated. I know a lot of people that have done that. If you ever do need anything, Chris Shaffer could always probably guide you along with that and I could always hook you up with him. As far as clothing in general, it’s definitely a harder space not just because it’s clothing but because there’s a lot of different sizes and there’s a lot of different variables that go into sizes. Everyone’s built differently. They can’t go try it on. Here’s the problem. The problem is that you’ll probably get a lot of refunds or returns and because of that your return rate will go up. They may have something built into the algorithm that says, “In clothing expect a higher return rate.” It also makes it hard because now every time something gets returned you have to have it shipped back to you if you want to. Then from there you need to repackage it and make it new again. That’s the only thing that makes me say in the beginning especially it’s going to be hard because number one, you’re going to have a lot more inventory. You have to have different sizes in everything that you’re offering. A little side story here for you. I was just having a conversation with someone the other day that sells not clothing but it’s an item that can be worn on the body and because of that there’s different sizes. So because of that he does notice that he gets a lot more returns because people say, “It doesn’t fit the way that I thought it would,” because they have different sized wrists or they have different sized arms or different sized legs. All of that stuff could be an issue. Just something to think about. I’m not quite sure what the product is. If it’s ties that’s different. Ties I think would be a little bit of a different market. Bow ties, regular suit ties, cufflinks and stuff like that that would be different and I don’t think that would be a problem. More of an accessory line would be probably easier than if you’re talking about a shirt or if you’re talking about pants or shorts, something like that. Even shoes would be hard because not everyone’s fit the same. Their shoes are more narrow or they’re wider. I know for me Nike sneakers they fit tighter on me than, let’s say, New Balance. I just know that from years of wearing those types of shoes. Or in the past I’ve worn Under Armour shoes and those fit a little bit different. It’s like every brand has their own unique style of fitting, I guess, or their unique way of fitting. I guess what I’m trying to say is I think that that market is great and I love that market. I’m actually going to be a customer in that market moving forward here if I’m going to be doing any more speaking or anything like that, but I do see that there’s going to be some barriers there. I’m not saying to avoid barriers because I think any time there’s a barrier there’s less competition. I do think that you’d have to start small and slow and then see how it goes. Again, that’s my thought. If I’m going into that market I’m thinking number one, I’ve got to have a lot more inventory. If I need to have small, medium and large only that’s just three sizes. What if I want an extra small? What if I want an extra large? What if I want extra, extra large? Or maybe you’re just going to go after the medium build guy. You’re not going to go after tall. What if someone’s 6’5” but someone’s 5’7”? There’s a different fit there. You might fit the same width but you might not fit the same height. That’s why they have a tall section. That would be my only thoughts if we were sitting down at that coffee shop having that cup of coffee. Those would be my thoughts. Hopefully this has helped you. Again, I’m not saying don’t go into this market. I’m just saying these are the things that I’d be thinking about and that you have to think about because that is what you’re doing, especially when you’re buying clothing over the internet and then you’re not going to be able to fit everyone in your shop, all right? Hopefully that’s helped. Keep me posted. Try to shoot that picture with the sign “TASer” and then the Alibaba factory in the background or the headquarters. That would be cool. Yeah, do that for me. That’d be awesome. All right, let’s go ahead and listen to another question and I’ll give you my answer. [00:11:41]: Hey, Scott. My name is Gintas. First of all, I would like to thank you for the great job you are doing here. I love your podcasts’ energy and the amazing Facebook group you created. Loads of great people there. My question is related to patents. Short story. I finally found my first product that I’m interested in. I did a quick patent research and as far as I found there were no patents on this product. There were about 20 FBA sellers selling more or less the same product. I talked with several suppliers, received samples, bundled it with another product and made a deposit to my supplier a few days ago. However, now that I come to Amazon I see that more sellers came for this product and one of them wrote that they have patent pending. I believe there’s nothing wrong while patent is going on pending. I can legally sell it so I will go for it at least to get started. This situation could happen for any product that I choose. In one of your latest podcasts you spoke what you can do with your product which margin has gone down. Now imagine that your product was still doing very well and someone patents it. What would you do? Would there be any way to get around this and use your listing with all the reviews, keywords, rankings and all the good stuff you were building for the last year? I’d like to hear your opinion about it. [00:13:12] SV: Hey Gintas, what’s up? Thank you so much for the question. I appreciate it. I’ve answered patent questions in the past and I’m going to answer it again and I’ll probably answer it again because it is important. First off, I need to say that I’m not a legal advisor, I don’t claim to be and I don’t play one on TV either, okay? If you were at all thinking that you’re violating a patent at all then I would steer clear of it myself personally. That doesn’t mean that you can’t sell a similar product, you just can’t have what that product has as far as the patented issue or the patented part of the product, all right? If you don’t know what that is then you need to do a little bit more digging because you don’t want to play around with that. Worst case scenario most of the time is going to be, “Hey, you are violating a patent. Stop selling.” That’s going to probably be what’s going to happen. Then if you continue to do it then there would be probably legal things being done there. I would say if you see someone saying, “Patent pending,” yes, that’s pending. We don’t necessarily know if it’s patent pending but at that point you might want to hire an attorney and have them do an extensive search. Then maybe that patent pending might be on one little element of that product. Maybe it is the rubber on the bottom of that mug that someone has patented. It’s the diamond pattern of the rubberized pattern there on the bottom of a mug so it’s their anti-slip patented bottom but the cup isn’t patented. It’s just the surface on the bottom. Patents aren’t just thrown out like you can just go and get one and write a check. There’s got to be extensive research, extensive filing and then again research to see other things that you could be, I guess, infringing on someone else’s patent. There’s a lot of detail that goes into a patent and that’s why they do sometimes take years for them to be approved and filed and all of that stuff. Your best bet there is to hire an attorney. Yes, it might cost you a few hundred bucks but it’s going to be well worth it in the end. I would say if at all you’re thinking that you’re violating a patent- and this goes for anyone out there- I would steer clear, me personally. There’s plenty of other opportunities out there that you could take advantage of that you wouldn’t be violating a patent. You may be doing everything on the up and up and you may say, “You know what, this isn’t patented,” and you’re good. Then someone comes out of the woodwork and says, “I had a patent and you’re violating this,” and everything. Then it’s up to you if you want to fight it or if you just want to say, “It’s not worth it. I’m just going to cash my chips in and go.” That’s something you can do as well. Most of the time if you jump off it’s not a problem but here’s the thing. Let’s say that you have a product and let’s just use a garlic press. In that garlic press you have a certain surface that’s on the handle, a certain gripping material that’s on there. You just went to the manufacturer and they said, “We have this. This is one of our standard garlic presses.” You don’t see a lot of people selling it, maybe a couple. Then from there you start selling it. Then you find out that this garlic press that surface material has this grip on there and it’s patented. That doesn’t mean that you have to take that listing and totally shut it down because you’re not saying that it’s the certain brand. I’m using air quotes. If you are doing that, yes, that’s wrong. You can’t do that either. You can’t pretend to be a popular brand or a patented brand. The question was if I’ve got momentum going on this listing do I just jump ship and then kill the listing? My answer to that or what I would do in this situation is I would maybe discontinue that one variation and then I would roll out another variation underneath that same listing. I would just strip out whatever was the patented issue and then from there I would let that variation die, if you will, and then from there I would start up another variation of a different style of that garlic press. This way here the listing is for garlic presses. It’s not necessarily for that particular surface that’s on that garlic press. This can get a little sticky, a little goofy but you have to use your own head at this and see if you’re able to then launch a variation. You could have one garlic press that has a rubber handle and then another variation could be one that’s just a stainless steel handle. They can be on the same listing just two different types, or three different types, or four different types. This way here you wouldn’t lose the momentum and the ranking that you started to achieve from doing the launch and all of that and you wouldn’t lose your reviews underneath that listing as well. Hopefully this has answered your question. I know it wasn’t a direct “Do this, do this, do this,” but it will give you a little bit of, I guess, knowledge moving forward as far as what to look for. Then at that point what you should do if that ever happens to you with that listing. Should you just kill it or should you continue to use the listing just not with that product or that variation, let’s call it? Hopefully that’s been helpful. Keep me posted on what you do decide. I’d be curious to know and yeah, maybe we can do a follow-up or something. [00:19:44] J: Hi, Scott. My name is Jason from Indonesia. I’ve been following your amazing podcast for a while now. Since last November I decided to quit over-analyzing things and decided to take action thanks to you. Long story short, my product just went live five days ago and I’ve sold over 160 units. I think that’s a decent start, right? Just a quick story, I’m located halfway around the world so when I’m sleeping at night it’s daytime in the US. Last night I went to bed around 11:00 and when I checked back on my sales at around 8:00 a.m. this morning I’ve sold 60 units. I mean, wow, it literally makes you money when you sleep. Now I heard that Chinese New Year is coming up in February and a lot of factories will close from two weeks to as long as a month. I guess it’s a pretty big holiday in China. I think a lot of sellers who are running low on stock from the holiday will try to restock before the suppliers go on the holidays. I also heard that January is when a lot of customers return products. I’m wondering if you can give us your experience on how you managed your inventory during this time. Would you order stock for three months? Then is it wise to stock up that much? Sorry for the long voicemail. I think I owe this to you and the TAS community. I really appreciate the amazing content you give to us and I believe you will be blessed 100 more by doing that. I’m looking forward to hearing back from you. Thanks again, Scott. Cheers. [00:21:20] SV: Hey, Jason. Thank you so much for the question. Everyone that was listening to the beginning of this podcast where I said that I got goose bumps, this was one of those that gave me those goose bumps and here’s why. Jason says that he’s been listening and he’s been taking action and he was able to launch a product that’s doing 60+ sales a day. That’s amazing to me. He’s been listening to the podcast, he’s been connected to the Facebook community, the TAS community that is and just from the resources that I provide for free has done this. It’s amazing and awesome to be able to be a part of that so, Jason, thank you so much for allowing me to help you but then also for you to share that with me. There’s a lot of people out there that are doing this. They’re taking the podcast. They’re just listeners. They’re not out there telling me that they’re listening or telling me what they’re doing but they’re getting results and that’s fine. I’m not saying that I need the credit for it but when you do get that, man, I’m telling you it feels really, really good. Jason, I want to say thank you once again. I really appreciate it. Like I said, when I listened to that it did give me goose bumps because that’s real stuff. That’s real and that’s awesome. To answer your question about inventory, which is a really big thing any time of the year not even just necessarily here. Yes, we’re talking about a two to a three week downtime and then they have to start back up again so you might as well say about four weeks is what you’ve got to plan in this holiday. Depending on when you’re listening to this … and they have a Chinese New Year every February and from there they shut down for I believe it’s 14 days. I don’t know exactly but it’s a couple of weeks. Then from there when they get back up and running they have to get things back in order and get running properly, and they might have lost some people when they shut down to where they start back up so they’ve got to retrain and all of those things. Yes, you want to plan your inventory whether it’s a holiday or not because you need to almost forecast out about 60 days. That’s the best scenario. The easiest way to do that is to manually track your sales. You can look back as well and do the past 30 days and then the past 60 days. You can see, “Okay. I’m currently selling 20 units a day of this product so that’s for 30 days I’m selling 600 units. I only have a thousand left in stock so I’m really only good for about a month and a half. Let’s see. I’ve got Chinese New Year coming up,” or whatever. Maybe your manufacturer said that now they’re running 30 days out. You need to plan for that. I think everybody’s situation is a little bit different. Yeah, you may want to be three months in stock but for some people that’s scary and I get it. There’s ways too to slow down the amount of sales by raising the price and all that stuff but that doesn’t always work either and you may run the risk of running out of stock. That may happen and if it does it’s not the end of the world. I know a lot of people that have run out of stock for two, three, even four weeks and they’re able to get their spot back once they get up and running again with the inventory but I wouldn’t let that hold me back. To answer the question about inventory, you have to plan. You have to do your best to plan but that doesn’t mean overspend either. That doesn’t buy three, four months’ supply because you’re in a panic that you think that you may sell out and you’re going to go out of inventory. You do want to plan it. You need to be in constant communications with your supplier and with your manufacturer letting them tell you. I know myself personally my manufacturer just told me, they go, “Scott, if you place your order right now,” which is, let’s say, beginning of February, “if you go ahead and you place that now, we’re not going to be able to ship your new items until mid April.” We’re talking February, March. That’s two and a half months. That’s a long time. What I’ve done is I’ve put in another order before the Chinese New Year, put my 30% down and then from there at least I’ll be in queue so this way here I’ll be the first one out in beginning of April, let’s say. Typically it’s a 20 to 30 day turnaround when everything’s running smooth and then you’ve got to figure about a week for shipping, about three to four days for me but let’s just say a week. You’re talking that’s about five weeks alone just there. Then if they’re running behind you’ve got to add on time for that. You do have to communicate with your supplier and your manufacturer. That’s really important. Then also you need to know this about your business as far as how well something is selling. Then you also need to look at the trend. You may have come out of fourth quarter and maybe into the first quarter and things are going good. Then if you looked at the trend from last year you can see that your market kind of dips in February-March. You might be okay. You have to do a little bit of forecasting. There’s never going to be an exact measurement that you’re going to be able to use but you need to calculate it out as best as possible, all right? Hopefully that’s helped. Hopefully that’s answered your question. Again, thank you so much, Jason, for sharing that with me. It means a lot and it’ll make my day a little bit better today and I’ll have a little bit more bounce in my step so thank you for that. All right, let’s listen to one more quick question and I’ll give you my answer. [00:26:52] R: Hi, Scott. My name is Ramsey from Australia. I’ve been listening to your podcast for a few months now. At the moment I’ve found a supplier, got a sample and I’m in the process of setting up my listing and getting the products finalized with my supplier. My question is what’s the difference between a barcode, a UPC, an ASIN and FNSKU? Also which of these does Amazon provide us with, which do we have to buy ourselves and which one do we send to our supplier to stick on our product? Thanks for taking the time to listen to my question and looking forward to hearing back from you. Thanks. See you. [00:27:42] SV: Hey, Ramsey. Thank you so much for the question all the way from Australia. That’s on my bucket list, by the way. I want to get to Australia one of these days. Definitely would love to check it out. To answer your question about UPC codes, barcodes, ASINs, the ASIN, let’s see, FNSKU, all of these numbers. Especially for people that are new they’re like, “What number do I need, Scott? What is the number?” Here’s the thing. First off, you’re going to need a UPC code. You can buy them. They’re totally cheap, 75 cents, a buck a piece. You can go to our resource page and then you can find them there, theamazingseller.com/resources or just Google it. The UPC barcode what that’s going to do is allow you to create your listing on Amazon. You have to have a barcode in order to list a product in the Amazon catalog. Secondly, that’s also an identifier for you that it’s your product. Some people say you don’t have to print it on the box and you don’t have to. The good thing about putting it on the box or the bag is now you have another identifier on there just in case someone came on and decided to try to counterfeit your product because now it’s yours and it’s on the bag. The other thing that you need to understand is that Amazon is going to give you their own barcode which is their FNSKU number. That is their identifier. The ASIN that also is an identifier but not necessarily what they need on the box. That’s just kind of like their catalog and it’ll be in your URL as far as the web address but you don’t really need to be concerned with that. What you need to be concerned with are those two: the UPC code, the barcode, and the FNSKU number. Like I said, you can have your manufacturer print the FNSKU number on your package and then you don’t have to pay Amazon to do it. They charge 20 cents to put their label on your particular item. You can easily just give it to them once you go through the process of shipping in an order. You don’t have to complete the order but you can get the FNSKU by going through the actual … like you’re submitting product. You go in like you’re going to send some product in and you can get the FNSKU number. There’s a little dropdown thing there that says, “Show the FNSKU number,” and you can do that and then you can grab that number. The other thing with the UPC code is if you ever wanted to sell it in retail you would need a UPC code. That’s why it’s a good idea and probably good practice to have that UPC barcode printed on the box as well. Then what’ll happen though is Amazon- here’s another thing that you need to understand- Amazon will label over top of that UPC barcode with the FNSKU number. You can’t have two barcodes on there. It’ll be confusing. What they’ll do is they’ll label it over top of that. My recommendation would be if you are intending on having them print the UPC code on the box and putting the FNSKU there, you want them to put that label over top of the UPC code. Maybe some will disagree here. I would do that so there’s no confusion. Any time that I have received a package I see that the actual FNSKU is over top of the UPC code. Maybe that’s just me. I just think that this way here there’s no confusion. That would be my recommendation there. That’s pretty much going to wrap up this session of Ask Scott. I did want to remind you guys though that the transcripts for this episode and all of the ones moving forward, even a few in the back … We also did them for like 161, 162, 163. You can go back and download the transcripts now. Head over to the episode that you want to download the transcripts. They will be there in the show notes. For this episode in particular it is 163 so that web address would be theamazingseller.com/163. I also wanted to remind you one other thing. If you have not attended one of my live free workshops where I walk you through the five phases for picking a product all the way to launching a product and everything in between, you can still register for an upcoming one by heading over to theamazingseller.com/workshop. Once again, that’s theamazingseller.com/workshop, all right? We do live Q&A there as well and we have an awesome time. I would love for you to attend. All right, guys. That’s going to pretty much wrap it up. Remember I’m here for you. I believe in you. I’m rooting for you but you have to, you have to- come on, say it with me. Say it loud. Say it proud- take action. Have an awesome, amazing day and I’ll see you in the next episode. 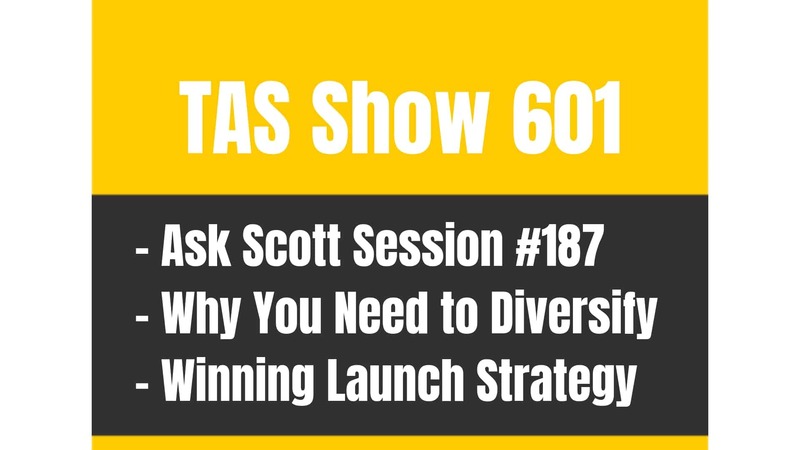 TAS 601: Ask Scott #187 – What’s The BEST Way to Launch My Product on Amazon TODAY? Not sure if you’re still checking old posts, but I asked Amazon about UPC’s first, and they referred me to a place where they cost like $250 for an initial fee and then $50 a year. (site is stated on this page – https://www.amazon.com/gp/help/customer/display.html?nodeId=200202190#get_code_) What’s the difference between the sites you post here and the site they provided? And why would Amazon even care about a barcode if they have their own they require anyway? Thanks! Hey James the site you’re referring to is GS1.org. They are the issuer of all upc codes. The other sites that i’ve listed in the past are simply resellers. Amazon has recently shifted to wanting only “original” codes, meaning you should probably bite the bullet and purchase directly from GS1. Hey Alan, people getting kicked off really isn’t all that big of a problem ESPECIALLY if you follow the terms of service. Amazon is generally pretty good about giving warnings for things that are outside what the deem to be acceptable, it’s ignoring those warnings that will get you in trouble. Hope that helps!